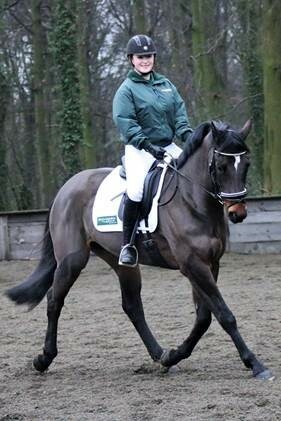 After a brilliant 2016 Alanna Clarke and her lovely horse Katrina has joined the Equerry Horse Feeds team of sponsored riders. Said Alanna: “Katrina and I had the most exciting 2016. On the dressage front we scored our first British Dressage points, were reserve for the British Dressage – Northern Region BYRDS team, qualified for the PetPlan Area Festivals at Novice, got to the My Quest National finals at Elementary and had a go at Dressage to Music. “We also tried Le Trec, got an award at the Trakehners UK annual show and gained our first showjumping clear rounds and rosettes which was brilliant. “Thank you to every single person who has supported me this year, I am so lucky and I appreciate you all and especially my mum who is the best ever. How Can I Make Sure My Horse is the Correct Weight and in Good Condition During the Winter? There is a massive choice of what to feed horses which leaves many horse owners in a quandary about what to feed to keep their horse in good condition and in an ideal weight all year-round. So what is the ideal weight for your horse or pony? That depends! It depends what you are asking that horse to do – a horse’s ideal weight for racing would be much lighter than that if he was doing RC activities perhaps including showing. But both should be fit enough to do their job comfortably and in good condition with a healthy shiny coat. The first step is to consider a suitable forage, feeding good-quality hay or haylage is important as this makes up the majority of the diet for most horses today. Forage should normally be fed ad-lib, meaning that your horse still has some left in the morning. There are many ways to slow the rate of intake including trickle-nets which are very useful for good-doers. The second step is to make sure that your horse has had an MOT! Teeth should be checked at least once a year, together with appropriate worming and flu/tetanus boosters are basic things your vet will be happy to advise on to keep your horse fit and healthy. The third step is to assess how much feed, and how much energy from the feed that your horse will require. If your horse is carrying enough weight i.e. his calorie (energy) requirements are predominantly met by his grazing and forage, Equerry High Fibre Cubes will be ideal. These cubes are ‘Non-Heating’ and will provide all his basic vitamins and minerals for rest/light work. It is important to feed any compound feed at the recommended rate to ensure that your horses daily requirements are met in order to keep him in good condition. If feeding less than the recommended levels you should add a vitamin and mineral supplement or a feed balancer to ensure a healthy balanced diet which will help to keep your horse in good condition. Horses doing more work will need more calories (energy) to hold condition and provide the energy for work. Depending on the horse, the amount of work he is in, his temperament etc a ‘Non-Heating’, low starch product like Equerry Conditioning Mash may be ideal or you might need a higher energy mix like Equerry Sports Mix. Older horses often struggle in the winter when easy to chew grass is limited (especially for those stabled overnight). A forage replacer will be vital if your horse struggles to chew his hay or haylage. Look out for chewed bits of forage that he has spat out (quidding) or a reduced intake both of which indicate feeding a forage replacer is necessary and a dental check is advised. Feeding a high calorie mix like Equerry Veteran Mix will help to provide plenty of calories to keep your horse in ideal weight, good quality to maintain muscle tone and high levels of yeast to support his digestive system. For some horses their hard feed requirements will change considerably with the seasons as grass quality changes and levels of exercise change, so never hesitate to contact a feed company for some advice from a nutritionist to make sure your horse gets what he needs. 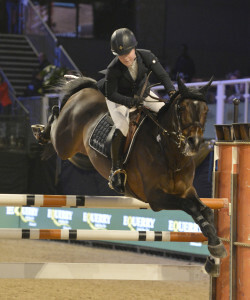 Millie Allen made up for an agonising defeat 12 months ago to be crowned Under-25 Grand Prix champion at the Equestrian.com Liverpool International Horse Show. 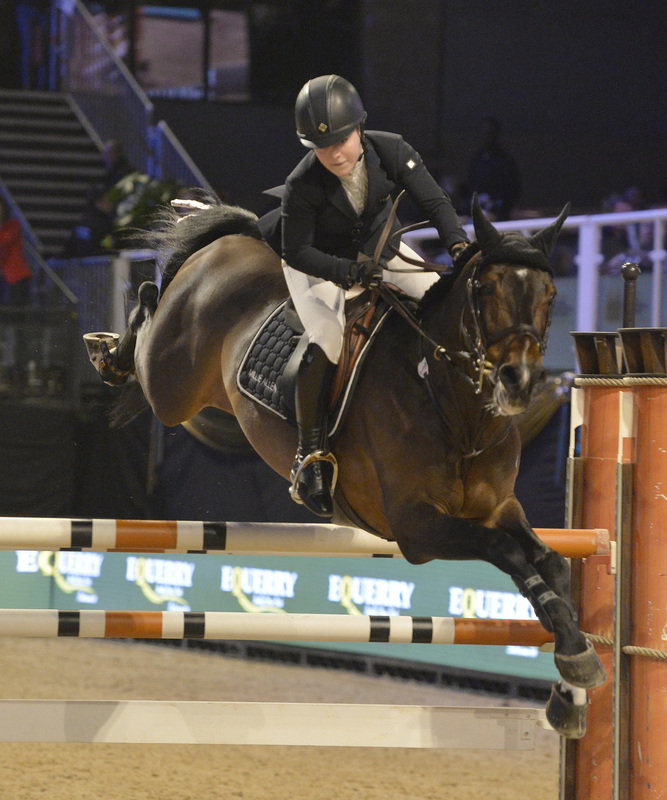 A year after being pipped at the post by her sister Pippa, who won a thrilling jump-off by just two hundredths of a second in the same ckass, Millie returned with Balou Star – and this time she was not to be denied. Twelve combinations made it through to the jump-off, and a determined Millie powered home in a time of 32.65 seconds, more than a second clear of Richard Howley and Chinook III, while James Hughes and Bolton Gate Ben finished third. Millie was able to reflect on collecting a £2,000 winner’s purse in the class, sponsored by Equerry Horse Feeds, and she was understandably delighted with the victory. “Last year, I was two hundredths of a second behind my sister. I still remember it pretty well!” said Millie, who is from the north-east of England. “Like today, it was an amazing atmosphere, but I much prefer to be in the winning spot this time around! “It was a very competitive class. To be honest, I think anyone on that start-list could have won. “In terms of the jump-off, I think I had to take a lot of risks and be fast from the beginning, but my horse has so much scope and such a big heart. “He has been an amazing horse for me, and the horse’s owner was here to watch today, so it was perfect. “This show is incredible. The crowd is amazing, and it makes you feel amazing when you are in that arena.